LICE MAKE FOR A LOUSY THANKSGIVING!!!! Check everyone’s head at the door. Limit head to head contact by having the cousins sleep in separate beds. Tying hair back into ponytails, buns, and braids makes it difficult for lice to invade. Don’t share coats, hats, scarves, ear muffs, and gloves (Off a human host, a louse can live up to 48 hours and can lurk on these items, waiting for a new scalp to feed upon). 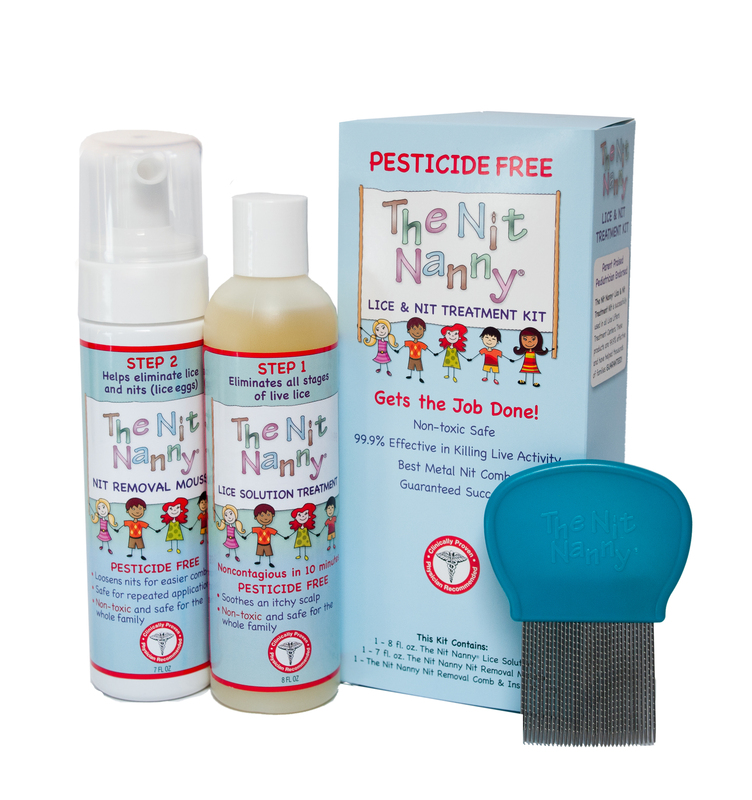 Before gathering with family and during the visit, use The Nit Nanny Mint Detangler Spray as a lice deterrent. Remember to do a combing head check the following week to check for lice. HAPPY THANKSGIVING FROM OUR LICE LIFTERS FAMILY!!!!! Head lice is often a problem around the holiday season and sometimes can cause conflicts within families. Below Dear Abby in the Herald-Journal – Mar 19, 1994 had to resolve an unnecessary conflict. The Nit Nanny Product line can help you prevent and resolve a lousy problem. A few weeks before Thanksgiving our grandniece (who goes to preschool) got head lice and her two brothers caught it from her. The boys had open sores from it. All three children were treated and everything was disinfected in their home. Three days later her mother, “Alice”, took her daughter back to this preschool where it seems (according to my sister-in-law) that the people who work there think it’s “no big deal,” because they deal with it every day. Alice did not have to take her back there. We feel that she shouldn’t have exposed the girls to lice willingly. My family and parents were invited to my brother’s home for Thanksgiving Dinner. Alice called and invited herself. After discussing the lice problem with everybody who was to be there, we told Alice that we wouldn’t be comfortable with if she brought her children there, when she willingly took her daughter back to this lice infested preschool. Abby, this was not easy to do, because we all love her dearly. But we were afraid we might get lice. We all had to deal with lice, because it’s in the public schools. But you don’t take your child back to the place with lice if you don’t have to. We offered to take food to her and her kids, but we were told “no”. We have some very hurt feelings over this, even after all this time. (By the way Alice’s parents were out of town). The question: Did we do wrong in asking her not to come? Please do not use my real name, as we live in a very small town. — DIDN’T WANT ANOTHER LOUSE FOR THANKSGIVING. Dear Didn’t: Yes you were wrong to punish Alice. The children had been treated and everything at home has been disinfected, so the transmission of lice was no longer an issue. Shunning Alice and her children was unkind and unnecessary. HAPPY THANKSGIVING FROM OUR LICE LIFTERS and THE NIT NANNY FAMILIES! It is important to check for lice after Halloween. Beware! Your children can bring home more than just candy and pencils for their Halloween “treats”. Head lice is a concern for both children and adults this time of year as they try on costumes, wigs, masks and hats at the local Halloween Store. Off a human host, a louse can live up to 48 hours and can lurk on these items, waiting for a new, yummy scalp to feed upon. When your children took photos at school with their classmates, and their heads and hair touched this is when more than 90% of head lice is passed from head to head. Also, after your daughters shared brushes when putting hair up in a “witchdo”. If you want to try and prevent lice from stopping by your house this Halloween weekend, The Nit Nanny Mint Detangler Spray smells great and works to keep the louse at bay. If you have a concern that spooky lice have visited our Nit Nanny Solution will get scare your lice away. Be careful and cautious this Halloween, but if lice do make a visit, Lice Lifters Treatment Centers are here to help you prevent this holiday from becoming a Nightmare!